January has been and gone. Leo’s finally won his Oscar and Chris Rock handled the #OscarsSoWhite issue fairly gracefully considering his position so what’s next for cinema? Well I’ll tell you. For a while now I’ve been kicking myself for not working on a feature spotlighting the films I’m most anticipating in 2016. Such a list should really be finalised by the first week of January at the latest. Missed that boat. But I’ve found a loophole. What if the film year doesn’t start until March 1st? In similar fashion to a school year beginning and ending in September, including summer holiday, why can’t a film year do the same? I mean, it makes perfect sense right? This way Oscar night becomes the very last event of the film calendar year before a new crop of thoroughbreds and underdogs set their sights on 365 days of action packed, sci-fi tased, meet cute brooding romances: available in live-action, animation, and 3D for a damning fee teetering on the cusp of double figures for your standard ticket, DOUBLE FIGURES! That’s ££. Unfortunately it’s an outrage that I’m incapable of influencing: which makes it doubly frustrating. But enough of cinema prices, with this year’s offering I’m hoping you’ll be as willing as I to part ways with a crisp Darwin at your local cinema, a place where dreams come true and magic happens, where explosions plume and all manner of things rain from the sky. I’m here to spotlight those intriguing prospects that may have passed you by amidst the blockbuster buzz, which also get their fair mention I might add. Sit back and revel in Part 1 of the 20 films to look out for in 2016. It’s going to be a heck of a year. Exploiting both loopholes I just created (March-March and UK releases) I can shamelessly include one of last year’s festival circuit essentials. Charlie Kaufman and Duke Johnson’s stop-animation drama has been widely acclaimed for its meticulous, purposeful experiment in self-absorption from the candid experiences of the main character to the beautiful animation. It’s strange for a film that has been nominated for an Academy Award for Best Animated Feature to find its release date ten days after the awards ceremony but whether it wins or loses I’m still going. Directed by Dan Trachtenberg, who shot to fame after his incredible Portal fan film which can be found on my trailer post, 10 Cloverfield Lane is one of the best kept secrets since, well…Cloverfield way back in 2008. Produced by J. J. Abrams this ‘blood relative’ of the shaky cam cult thriller takes things underground with John Goodman, Mary Elizabeth Wanstead, and John Gallagher Jr. holed up in a disaster shelter playing board games, completing puzzles and sharing a few tense dinners. It’s when Wanstead’s character makes a break for it that we catch a glimpse of the horror Goodman is trying to protect her from. It’s stealthy announcement caught many off guard and has since become one of the most anticipated films of 2016, good job it’s out in ten days! J. G. Ballard’s prescient, violent and zany 1975 social commentary set in a an all purpose ‘High Rise’ built to accommodate the three tiers of society in isolation from the outside world finds itself an adaptation in the capable hands of Ben Wheatley. Again, this is a film that has already seen the light of day at various festivals last year and as such a lot of the buzz surrounding it is justified. Starring Tom Hiddlestone and Sienna Miller this British sci-fi thriller promises devilish fun and throws up the chance to see something a little different. Basically, something that doesn’t involve superheroes or aliens. Here’s an interesting one, an original take on the buddy cop movie that splices Russel Crowe and Ryan Reynolds together in colourful 70s pastiche. Crowe, a heavy-handed, no-nonsense ‘messenger’ hires Reynolds a, down-on-his-luck private eye to help investigate the disappearance a missing girl that unravels into a deeper conspiracy, what else would you expect from a throwback to the City of Angels? The trailer is full of great moments and Crowe and Gosling ooze chemistry, this is shaping up to be a cool outsider with punchy 70s vibes and trademark neo-noir dark comedy from Shane Black. Released one day after Jason Bourne there probably couldn’t be two more disparate films in such close proximity that have me equally excited. As a huge fan of Finding Nemo the only thing currently holding Dory back is Pixar’s previous with sequels, Monsters University and Toy Story 2 + 3 being the exceptions. But Dory has some great source material, excellent voice actors and of course a great main character. Dory very much made Finding Nemo the success that it was and with Andrew Stanton back in control of a Pixar film I’m expecting big things for this little, forgetful tang fish. I said to myself that I wouldn’t include Suicide Squad on this list. But now that the world is in mutual agreement that it could be the best superhero film of the year it would be rude to discount it. Especially since Deadpool left millions enamoured with the anti-hero way. When Suicide Squad was first announced I was excited for all the wrong reasons: I had never read the comics and couldn’t name a single character, I was excited because it marked DC’s first real intentions to go head long into battle with Marvel and for that I would pay anything. But as the film grew into this intensely maniacal, all-consuming vehicle with the potential to outdo its own kind (Batman vs Superman) the world took notice. With one of the greatest trailers, probably of all time, set to the beating pulse of Bohemian Rhapsody my anticipation is at fever pitch. Get set for the film of the year. There, I said it. Ever wondered what a filth, zany, R-rated Pixar film would look like? Evan Goldberg and Seth Rogen did, or at least I like to think that’s how they came up with the idea for Sausage Party. 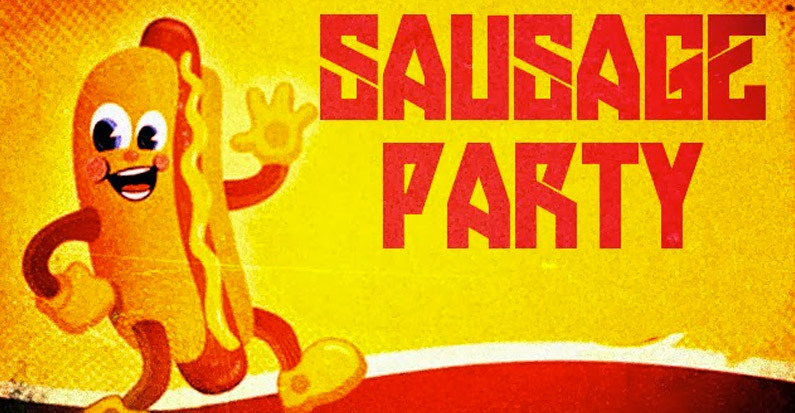 In what is shaping up to be one of the most absurd feature animations since Team America, Sausage Party depicts the tale of one sausage’s quest for existential identity. With voice acting from Kristen Wiig, James Franco, Salma Hayek, Bill Hader, Danny McBride, Edward Norten, Jonah Hill, Paul Rudd, and Seth Rogen himself, as well as many others, this has to be one of the most star-studded experiments in animation we’ve ever seen and I’m super stoked to see it on the big screen. 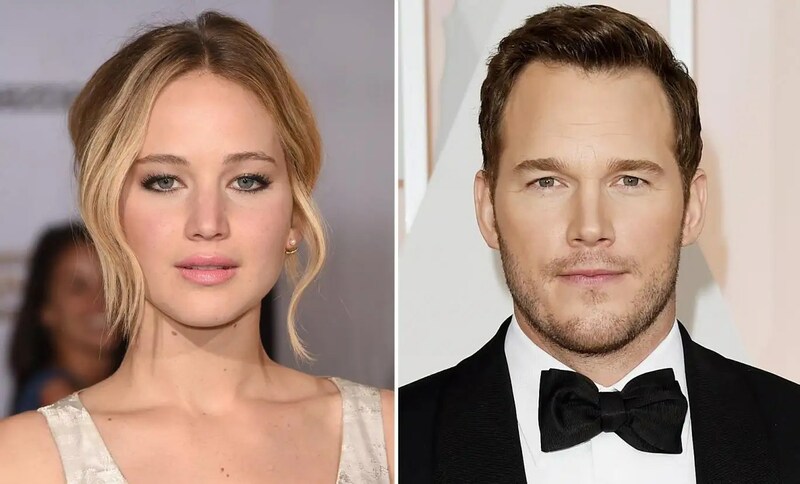 Starring Jennifer Lawrence and Chris Pratt, two Hollywood stars who can’t seem to put a foot wrong, this sci-fi adventure has got a few heads turning and paying attention. When a transport ship travelling to a deep space colony carrying thousands of passengers malfunctions, two passengers are awoken from deep sleep some 60 years early. With a plot sounding very much like a blend of Moon, Snowpiercer, and Pitch Black Morten Tyldum, director of Imitation Game and Headhunters, is an exciting prospect to have at the helm. This is one to look out for, especially considering it’s an original standalone sci-fi film, a rarity these days. Justin Kerzel reminded people how great Shakespeare adaptations could and should be with last year’s spellbinding Macbeth. This year Kerzel sets his sights on another period piece, Assassin’s Creed. Video game adaptations have always been a risky venture but Ubisoft aren’t going to let this one slip into the bargain bin alongside Super Mario Bros. Taking an active role in the production of Kerzel’s foray into 15th Century Spain together, with screenwriters Bill Collage, Adam Coooper, Michael Lesslie, they plan to expand the game universe with new characters, rather than retell it: an exciting prospect for fans of the game as it opens new avenues of interaction in future instalments. With Fassbender cast as lead and support from Marion Cotillard, Jeremy Irons, and Brendan Gleeson things are looking good. 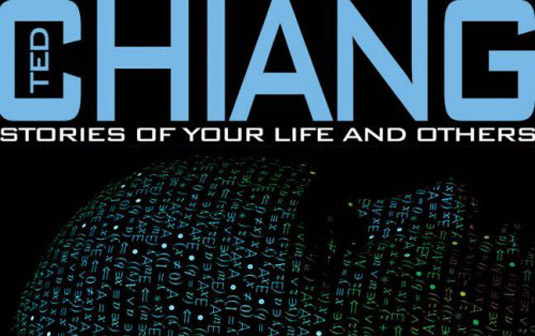 Based on Ted Chiang’s award winning short story of the same name Dennis Villeneuve helms this hotly anticipated adaptation that has fans of the material chomping at the bit to see it on the big screen. Amy Adams, Jeremy Renner, Michael Stuhlbarg, and Forest Whitaker are set to star and with an interesting premise, pitting humanity against an alien race with a hidden agenda, colour me intrigued. From the outset it appears to resemble a sci-fi adaptation that actually does justice to the original source, let’s hope so because this will be great if it can live upto its potential. That concludes Part 1 so be sure to check out tomorrow’s list (Part 2) before you start abusing me for leaving off Rogue One. Damnit! and I’m usually so good with spoilers too. I’m VERY excited for 10 Cloverfield Lane and High Rise. Even though I love Ben Wheatley films I’m probably slightly more excited for 10 Cloverfield Lane because it looks so intriguing. I know High Rise will be up to Wheatley’s usual, strange, “can’t quite put your finger on” standards. And there was a few there I hadn’t heard of before, thanks! Anomalisa sounds like your bag baby :) it does sound good. I’m really intrigued about Cloverfield Lane! Will the real horror be outside or inside?! I hope it’s not a let down. The trailer (the one I watched at least) was proper good, that probably helps. Thanks for the podcast heads up too! And you’re welcome, always happy to share your brilliance on Twitter! :D you going to see Anomalisa next week? I think (hope) the horror will be inside too but there HAS to be something going on outside as well?! Please don’t be a let down that’s the main thing!!! Ah it’s all true geezer :) you’re a good writer. You found an internship yet? I’ve seen Anomalisa and can confirm it is spectacular. I love it so much. 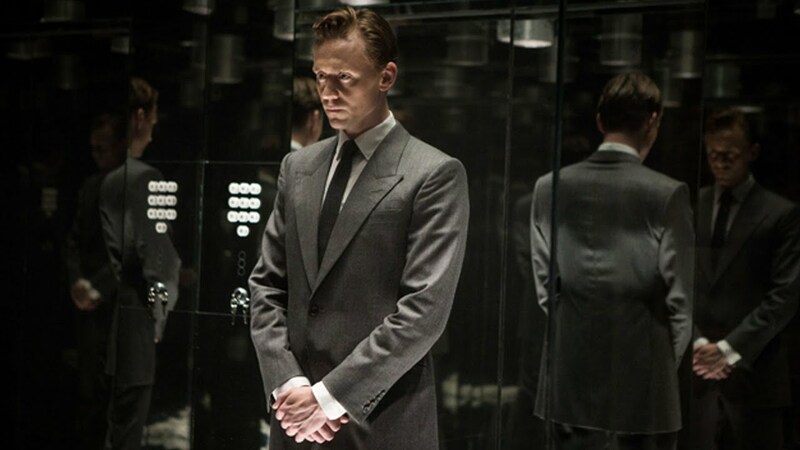 I’ve also see High Rise at the LFF, and had mixed feelings on it. It had everything going for it, but for reasons I wont go into some things just didn’t work. I wrote a review of it on the blog if you want to check it out. No spoilers. Sausage Party looks ridiculous. Suicide Squad looks great. Finding Dory will be brilliant. The rest I haven’t heard of and thank you for bringing them to my attention! It’s going to be a good year for film – great write up. For sure. The issue I had with High Rise purely in the middle of the film. It’s the transition that you see in the trailer and how it’s handled. It’s like Wheatley skipped out the middle chapters of the book and just went for the good stuff. It’d be interesting to see if there’s a directors cut along the line, that takes into account more of the book. Either way, it was a hell of a fun film. Perhaps I was a little too hungover to appreciate it. This might just be a rare case where I am looking forward to seeing a film without having read the book first so maybe it works better from an ignorant perspective. I’ll be sure to write about my thoughts on here though so I’ll try and let you know when that’s ready and we can have a proper chat then. Oh, and I’ve been there before haha! I hadn’t seen the book either, but read it afterwards. The film has to be pretty good to make me want to read the book though – for context I hardly read, if at all, so to want to order it and actually go through with reading it is representative of the powerful ideas shown on film. High Rise looks amazing. I can’t wait. The Villeneuve scifi sounds interesting. Go Canada! I’ve been waiting for Passengers for years, when it was on Black List and Keanu was attached. Really cool premise there. Hard not to like Squad from that trailer eh. It’s hard to keep our expectations in check eh. I try and erase all that before the movie starts… although it can be difficult. There are so many great flicks coming up. For my anticipated list I split it into popcorn and drama. I just published my Most Anticipated Indies. I’d be curious to hear what you think of some of the smaller flicks coming out. I am really hoping High Rise gets a release down here. Have you seen Anomolisa yet? It is freaking incredible. Cloverfield Lane is actually quite good too, I didn’t see that one coming! And Suicide Squad… I’m looking forward to it cos I love the Batman video-games…. its gonna be the last chance I give that genre. Well I love The Joker as a character, and I love Leto… I also love Harley Quinn… but the versions I know are the ones from the Arkham games, so it’ll be interesting to see if they mimic that. If they do and Margot Robbie manages to ditch the aussie accent it could be great… I’ve noticed that Leto isn’t shown much in the trailers also. But yeah: last chance!! And yes, Anomolisa. Very special indeed, I couldn’t agree more. I saw it in a small theatre with about 20 other people, all older people, and I asked a few couples and they all loved it. Its so….. human. If you can be buggered, check out what I thought… it really moved me. Hope you enjoy Cloverfield mate! Great list. And you were not wrong about 10 Cloverfield Lane!! !